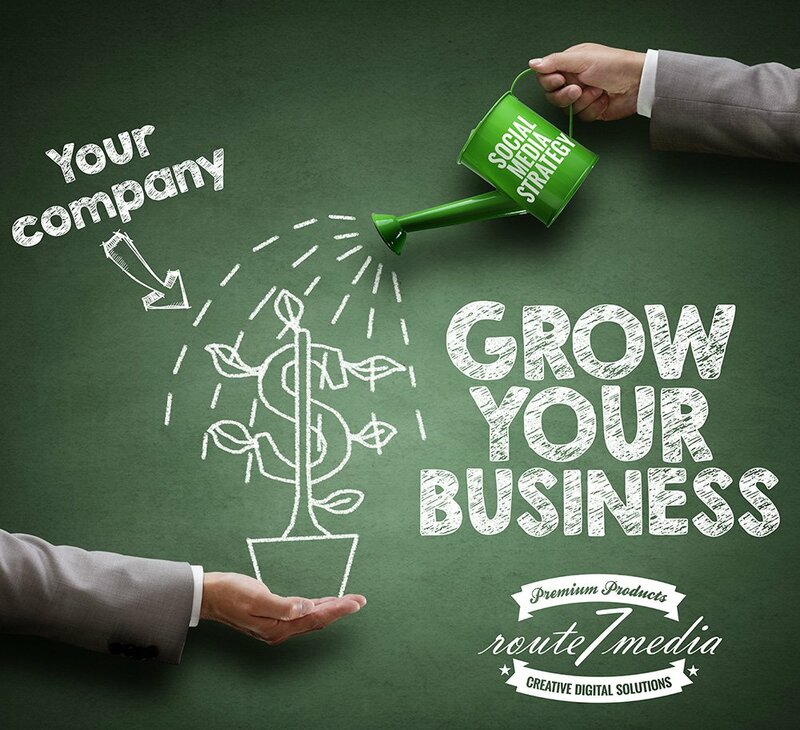 Introducing social media and content marketing for small to mid-sized businesses from Route 7 Media. Grow your business with a social media strategy. Most small businesses don’t have the time to market their services – they are busy with customers, production, shipping, invoicing – any number of important items that keep a business running. But how do you keep customers returning? It’s important to reach out to your customers, let them know about your services and promotions. There’s no better way than having a social media strategy – one that will include everything you need to be successful. With Route 7 Media, we’ll create a social media strategy plan that includes a full year marketing calendar and promotion plan designed around the goals for your business. We’ll help you develop marketing campaigns that work well with social and media and guide you through implementing those campaigns. In addition, we’ll help you utilize other important marketing tools like content creation, email list building and website development that may be needed to fulfill your marketing strategy. Interested in learning more about our social media marketing services? Please submit the form below and we’ll get back to you asap!